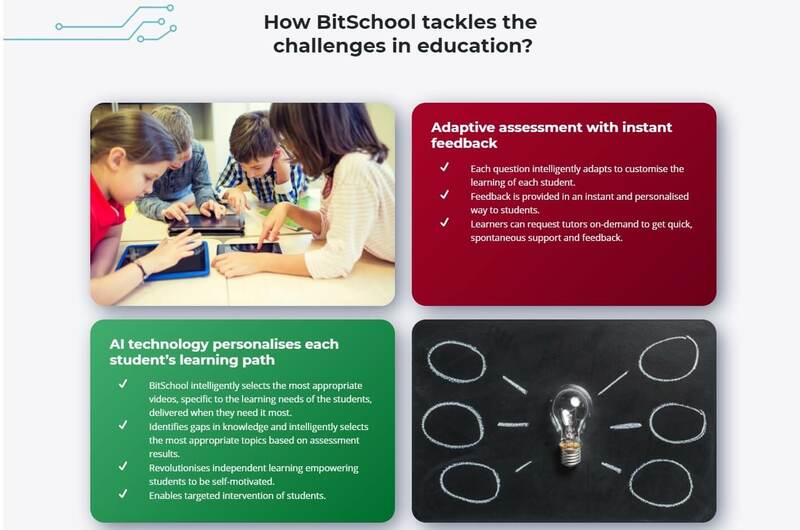 The ideation and design of BitSchool focused on leveraging the opportunities brought by the latest advancements in high technology rather than resolving contemporary problems. Above all, BitSchool aims to utilize Artificial Intelligence (AI), Location-Based Technology, and Blockchain to advance the global education paradigm. It always has been one of the most important purposes of education to deliver personalized learning tailored to the proficiency levels and needs of students per topics, sub topics or specific subject matters. However, as teachers have to deal with the education needs of multiple students in class and as tutors have not enough time to get to know their customers in the relatively short tutoring timeframe, in reality it is not always easy to accurately match the specific educational needs of students or tutoring customers. 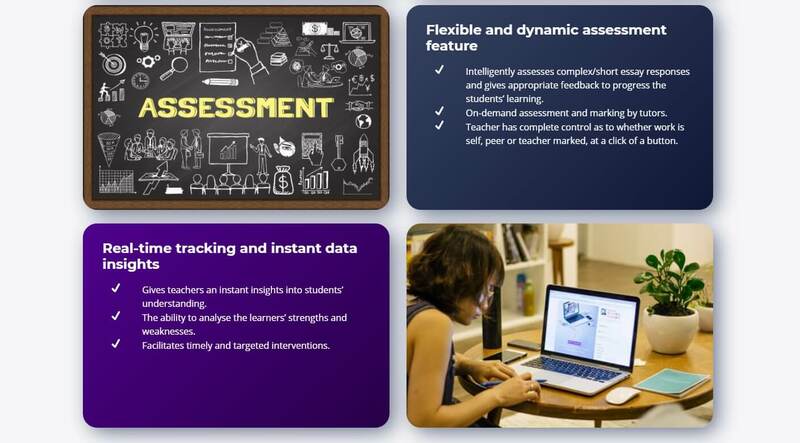 BitSchool leverages the AI technology to provide the most ideal way for teachers and tutors to assess the proficiency levels of learners for certain topics, sub topics or subjects, and thus helps deliver the perfect personalized learning experience to learners. Furthermore, BitSchool will advance the AI technology to include Dynamic Marking System and Adaptive Video Technology among others that would not only significantly enhance BitSchool’s personalized-learning capabilities, but also create an ideal self-study environment for learners. All online tutoring or eLearning platforms target the globalization of the education markets. By globalization, customers may not only gain access to a much broader global tutor network, but, adding the price differences between countries, obtain high quality tutoring service at a cheaper or more reasonable price. BitSchool is not different from these platforms as it is built upon the same globalization theme. However, BitSchool’s innovative bidding system will allow tutors and customers to reach the best possible price based on market demand and supply. The BitSchool Bidding System is expected to contribute to decreasing the tutoring cost significantly worldwide as global tutors have the incentive to reduce their costs to a reasonable level so as not to lose but gain competitiveness in the global tutoring market. Usually tutoring is associated with study subjects such as English, Math or Science, which is termed ‘formal tutoring service’ in this whitepaper. 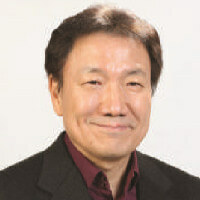 However, apart from these formal tutoring services, needs arise for spontaneous tutoring services in such events as a student having trouble with a specific question in her class; a developer having trouble structuring the right code; or a businessman requiring opinion with respect to his business presentation. For these spontaneous, one-off needs the formal tutoring service is in no way appropriate. So most of these situations is handled without the help of experts and lose the chance of improvement. BitSchool will provide the best solution to these situations by its On-Demand Tutoring Service (ODT) and Location-Based Tutoring Service (LBT). The BitSchool ODT and LBT will open the doors for students, developers, businessman or any other types of people wanting to solve a specific learning or business need fast, spontaneously and economically. Lastly, BitSchool’s transaction is based on the blockchain technology. As many people are still not familiar or feeling comfortable with making transactions using Tokens, a cash-based payment system like PayPal will be implemented. 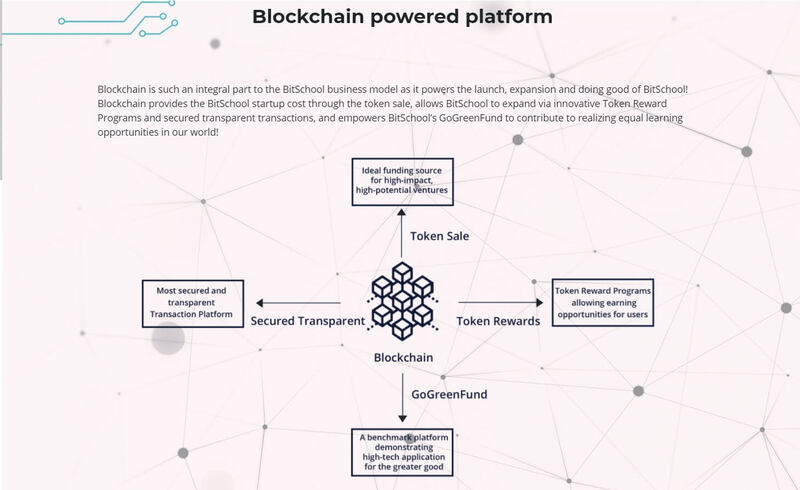 However, BitSchool offers various Token reward programs and significant discounts for Token transactions that will not only incentivize people to participate in and transact with Token at BitSchool, but also enlighten them of the positive utility of Token and familiarize them with it as a result. In particular, BitSchool’s GoGreenFund, which endows low-income students with scholarships in the form of Token and thereby contributes to upholding equal opportunity of learning, would not have been possible without the means of Token. The GoGreenFund is the quintessence on how high technology could and should contribute to the greater good of our global society and community.